The Wasteland got you down? Sick of listening to the constant echo of voices throughout the entire Rivet City ship? Megaton becoming a bit lawless since someone shot the sheriff? 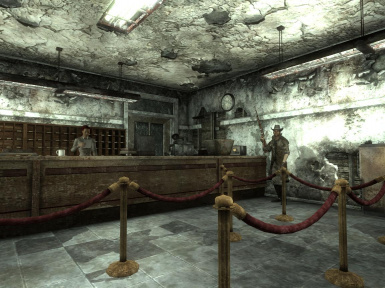 Those pompous aristocrats over at Tenpenny Tower wouldn't even let you in to use the washroom? Plan your exciting vacation to Canterbury Commons now! The home of the wonderous Travelling Caravans and the infamous battleground of the daring Mechanist and the dastardly Antagonizer await you and your family. 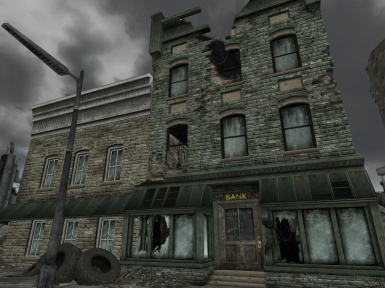 Canterbury Commons is a small and secure trading town conveniently located near the edge of the DC Wasteland. 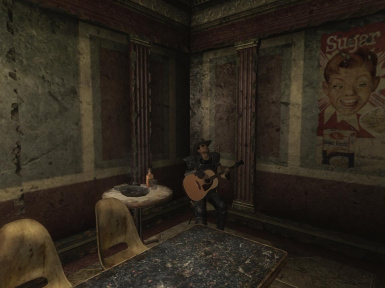 For an unlimited time only, the not-so-famous El Nada will be performing his rendition of some of the best not-the-most-memorable hits from pre- and post-war Wasteland at Cup-A-Joe, where you can always get a fresh cup of Joe and a quick lunch delivered with a grumpy frown. 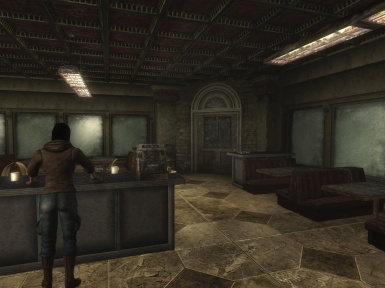 While you are here, feel free to visit the Bank of Canterbury Commons and explore your Wasteland investment opportunities(*). Bulk traders and merchants can also find a newly renovated warehouse where you can safely store your excess cargo so you don't have to carry your entire company line with you (**). 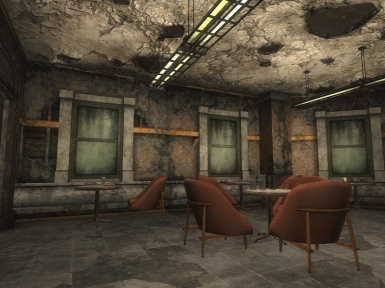 Don't wait until after the Enclave discovers and conquers this place, book your trip now! *Please note that account privileges are granted only to select traders and merchants. **Any rumours and allegations that the warehouse manager is selling customer inventories and pocketing the profits are completely unsubstantiated. - a bank (You can not make deposits at the bank. This may change in a future version). - Canterbury Commons is a trader hub/stop where the travelling caravans make their "home base." But it has the population of 5 or 6 people. This makes no sense. What is so compelling about this space that the caravans would make it their "home base"? This mod aims to populate Canterbury Commons without 'over-doing' it. - Adding stuff to exterior space of Canterbury Commons potentially generates game stability and lag issues, expecially when using an extended mod list. I've kept the bulk of changes to interior spaces such that Canterbury Commons itself is not affected. This also maximizes compabitibility with other Canterbury Commons mods. You will, however, see NPCs added by this mod out and about in Canterbury Commons. 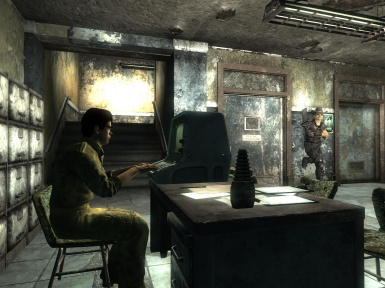 Those who wish to see added content in the 'exterior' Wasteland space of Canterbury Commons can try my 'Canterbury Commons Guards' mod (http://www.fallout3nexus.com/downloads/file.php?id=5900). It is recommended that you have a savegame in a location away from Canterbury Commons before installing or updating this mod. 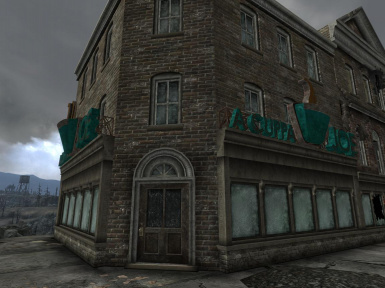 This mod is compatible with any mod that does not alter the door space of the abandoned buildings in Canterbury Commons. It is compatible with my 'Canterbury Commons Guards' mod. Door space have been properly navmeshed for followers. It is -not- compatible with 'Canterbury Commons Embiggened.' It should be compatible with any mod that just 'add' but does not 'alter' anything in the Canterbury Commons exterior space. The plugin has been checked and cleaned in FO3Edit. Report any bugs you find. 1.3 Reorganized the layout of the warehouse for better 'scale. ', added Cup-A-Joe interiors. 1.1 Removed the lock from a warehouse interior door to prevent players from being locked inside. My username is "Ripple" on both FO3Nexus and the official Bethesda forums. You can figure out the rest. Thanks to pkleiss for the auto-close door script. Thanks to WillieSea for the trigger script. Thanks to Umpa for the guitar animations, mesh, and textures. Thanks to the Oblivion/Fallout 3 modding community for all the guidance and assistance over the years. 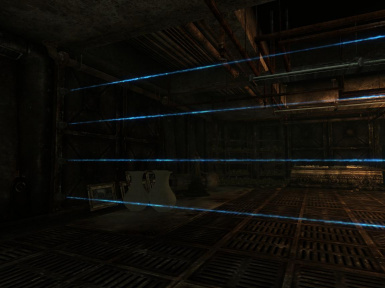 Thanks to FO3Nexus.com for the a one-stop-shop modding resource for modders and players. Since this mod contains some resources by other modders, you need to contact me for permission/clarification before reproducing any aspect of this mod in your own mod.